In this comprehensive review of Texas Superfood and their popular powder and capsules I’ll cover all the ingredients in the new and improved formula. You’ll learn potential side effects, the best place to buy it, cost per serving, if there’s a coupon and whether it’s worth the money. Also ahead, company information and reviews, customer feedback and complaints, vitamins and minerals in green powders, how to take this supplement properly, how it tastes and other questions answered. 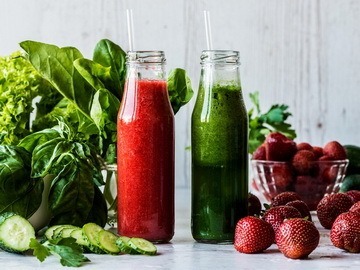 And at the end, Texas Superfood vs Juice Plus+, plus a breakdown of what I like and don’t like about these raw fruit and vegetable juice supplements. How Does Texas Superfood Taste? Should You Take a Superfood Powder? Made from the cold pressed juice of over 50 raw and naturally grown vegetables, fruits and greens, Texas Superfood is a powdered food supplement designed to provide a wide range of phytonutrients, antioxidants and other valuable nutritional elements for better health. The product comes in both capsules and powder form and is made by NPN group, formerly known as Nuplexa, with an address of 1180 N. Mountain Springs Pkwy, Springville, UT 84663. A contact phone number and email can also be found on their site. The owner and, according to the company’s website in the past, formulator of their various products is Dr. Dennis Black. The business has branched out into selling other nutritional supplements like krill oil, probiotics, a joint support supplement and two nootropics called Texas Chill Pill and Brain Gain. However, Texas Superfood is the company’s flagship offering and this review is specifically for this product made from 50+ fruits, vegetables and greens and with added probiotics and enzymes. On their labels they state that their powders and capsules are 100% whole food with no added sugar, zero fat, no soy, non-GMO, gluten-free and vegan. There is also a ‘Made in USA’ symbol and ‘GMP’ icon for Good Manufacturing Practice. Additionally, these products come with a 30 day returns policy according to their business site. This is the ‘New Improved Formula’ according to the labeling, and it is a big improvement on the old formula (incidentally still shown on most other Texas Superfood review articles on other sites at the time of writing). There’s a lot of great ingredients here but particular standouts for me in the Vegetables section are beetroot, broccoli sprouts, fenugreek, holy basil, kale, maca, turmeric and cleansing parsley. While in the Fruits list there’s antioxidant-rich acai, blueberry, black walnut, goji berry, grapeseed, noni, black seed, pomegranate and pumpkin seeds as highlights. Detoxifying chlorella, libido boosting pine bark and mineral-rich spirulina are all great additions. While probiotic lactobacillus for gut health and a range of digestive enzymes are good to see in the ‘New Improved Formula’. You can currently purchase both the powder or capsules for $63.45 per single bottle, with discounts of up to $15 for the 3 bottle ‘Family Bundle’ at texassuperfood.com. There is also free shipping in the USA if you ‘Subscribe and Save’ or for purchases over $100 worth of products there. Personally, I much prefer to buy my health supplements on Amazon for the easy delivery, trust and much greater variety of reviews and customer feedback than on supplement company websites. You can check the current price of Texas Superfood on Amazon here and read more product information, user reviews and answer questions as well. Taking the current $63.45 retail price for Texas Superfood on their site and the 30 servings at the recommended amount, this supplement works out at a $2.11 cost per 6 capsule or 6 gram daily dose. Not as expensive as the similar Balance of Nature Fruit and Veggies formula, It Works Greens or Juice Plus+ capsules, but still high in price compared to some green superfood powders out there. This whole food supplement is likely to be pricing themselves a bit too high for many customers to be using regularly. Whether Texas Superfood is good value compared to cheaper competitors depends on the results you get personally from it, which of course can vary greatly from person to person. You could take a half dose to make it last twice as long but then you might not experiences comparable health benefits to taking the suggested 6 capsule or 6 grams of powder dosage. Obviously taking powdered fruit and vegetable juice supplements like this isn’t cheap, but neither would be juicing anywhere near this amount of produce yourself. If you are going to try Texas Superfood and see if it actually works for you, then it’s best to take it every day at the recommended dose for at least the first month and see how it makes you feel. Many people are prepared to pay a premium for products like this that go some way to addressing the deficiencies of the standard Western diet. After all, health conditions and diseases can be much more costly in the longer-term. The powdered superfood capsules in particular are also very convenient and a great timesaver. You can even take them to work or when traveling to improve your nutritional intake. Many people search online for a coupon code or some kind of discount on the retail price of Texas Superfood capsules or powder. There are the usual flashy coupon sites offering fake discounts on this product. However, all of those I found and clicked on were just scams and frauds with no actual coupon codes, just an attempt to get you to connect through to texassuperfood.com. One did link to a page on the company’s website with the URL /sale/ so perhaps this business did once offered discounted products. That said, the idea that there would be coupons for 40% or even 50% off, as these fraudulent sites advertise, is a complete scam. It’s suggested to use Texas Superfood capsules by taking 2 of them 3 times a day, preferably with food, for a daily dosage of 6. With 180 capsules per bottle you get a 30 day supply if you take them every day. The green powder comes in a 180 gram bottle and adult directions are to take 6 grams or 1 rounded teaspoon a day, half that for children under 12, in a beverage of your choice. Once again, this gives 30 servings per container. It’s not listed on the label, but it’s best to take phytonutrient-rich whole food supplements like this with a meal that contains dietary fats. This is because many of the beneficial compounds are fat-soluble and need it present during digestion to be properly absorbed. With this and other powdered superfood, I’d recommend adding it to a shake or smoothie, such as one of these healing recipes, or diluted coconut milk, like this healthy BPA free version on Amazon, for superior nutrient absorption. If you really want to take superfood powders with juice then I’d highly recommend freshly squeezed only. 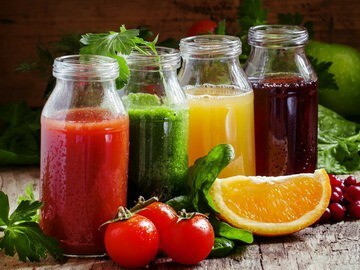 Commercially produced fruit juice is primarily concentrated fructose and highly fattening. You’d be negating some of the health benefits of this superfood powder by consuming it with packaged juices like apple or orange juice. Regular cow’s milk also isn’t a particularly healthy or good tasting way to take this supplement. Another option is to just drink these powdered superfoods with water but this isn’t ideal for consistency in taking them due to the taste. I’ve tried Texas Superfood powder in water as research for this review and the taste wasn’t unpleasant to me. Mild tangy berries and greens with some earthy flavors and a slightly spicy aftertaste, likely from the ginger in it. Some customer reviews complain about the taste but I get the impression that these are the kind of people that would have a problem with drinking anything not loaded up with fattening high fructose corn syrup. This is after all a product with negligible natural sugars, just 3 grams of carbohydrates and only 7 calories. It would be quite strange to expect the flavor to be extremely sweet. Overall, most experienced customer reviewers seem to think Texas Superfood is one of the better tasting green powders they’ve tried. 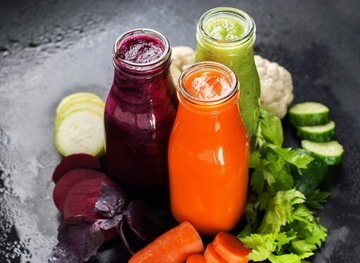 Still, it’s going to be so much easier to drink and healthier if you blend it up in a smoothie. That way taste is no longer an issue. If you don’t have a blender yet you are really missing out on one of the easiest and most enjoyable ways to improve your nutritional intake and overall health. I’d highly recommend getting a good countertop blender for your kitchen as soon as possible. If you’d like to save money then this highly rated and inexpensive bestseller I take with me when travelling is great for making delicious smoothies for breakfast and as easy afternoon energizers. There are no commonly reported negative side effects I could find from taking Texas Superfood. A couple of Amazon reviewers mentioned digestive upsets and supplements with probiotics and prebiotics like this can affect some people in this way. Overall though, this was a relatively small minority compared to the much more common reports of increased energy, less hunger, weight reduction and improved health conditions. Some people that are gluten sensitive are concerned about wheatgrass but it’s generally recognized that only wheat grain has gluten, not wheatgrass. That said, celiacs might want to write to the company to be 100% sure this is a gluten-free manufacturing facility. While rare, some individuals do have allergies associated with some of the ingredients in this powdered superfood, like pineapple for those with a latex allergy. This is why it’s very important for supplement companies to list clearly all the ingredients used in their products. Unfortunately, this is one of the negative issues I found while reviewing Texas Superfood. While I’m impressed with the list of superfoods in this green powder, it’s difficult to understand why the ingredients label isn’t currently proudly displayed on either their site’s product pages or the Amazon store for the company. It was actually quite difficult, even for me as an experienced reviewer, to find proper nutritional information for Texas Superfood on their website that represents them as a business to the world. Hopefully this will be rectified soon but it’s far from helpful to the reputation of a supplement company to not list product ingredients clearly. In fact, this could be one reason why there are searches online for people asking if Texas Superfood is a scam. Customers deserve to know exactly what is in a supplement they are considering paying good money for. As well as being necessary information to make a buying decision, some people have food allergies or experience side effects with certain ingredients and definitely need to know what’s in a formulation like this. Many online reviews of Texas Superfood and similar green powders criticized the fact that the labels don’t show high values of common vitamins and minerals like vitamin A, calcium, vitamin C or magnesium. While I’m all for clearer labelling, in my opinion this kind of thinking misses the point of taking superfood powders and where their true health benefits can be found. If you want to see a supplement label list that has 100% of the traditional rundown of vitamins and minerals, then take a good multivitamin, not a green powder, especially one made from whole fruit and vegetable juices. The real value of powdered whole superfoods is in their rich array of phytonutrients like glucosinolates, catechins, carotenoids, antioxidant polyphenols and dozens more. 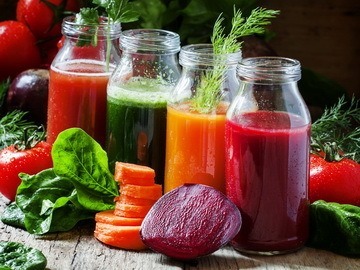 These beneficial nutrients are concentrated when you juice, cold dry and powder dozens of fruits, vegetables and greens like Texas Superfood have done with their products. Are there a range of published health studies on pubmed showing specific health benefits of Texas Superfood? No, and I highly doubt there ever will be due to the high costs and difficulty in presenting measurable results that the scientific community would accept. Some people are of the opinion that a nutritional product only has value if it has a label with high percentage amounts for the most common vitamins and minerals. Perhaps though they should look into the research and see if they can find many scientific studies supporting the value of multivitamins. In fact, this 2012 meta-study of the effectiveness of synthetic vitamin and mineral pills found scarce evidence to warrant their use and that some may even have negative effects. On the other hand, there are thousands of studies like this out there showing a strong correlation between fruit and particularly vegetable consumption and a lower risk of serious diseases like cancer and heart disease. Most of this research specifically cites the phytonutrient content of these foods as highly important for their positive effects. Other health benefits like better skin, improved vision and more energy are also common ‘side effects’ reported. Whether you believe the many phytonutrients, antioxidants and other nutritional elements in vegetables and fruit can be captured and delivered in a convenient powdered form that is usable to your body. Whether the product you are considering has a good range of high nutrient ingredients. Texas Superfood’s 50+ fruits, vegetables and greens would appear to have that covered to me. Whether the method of extraction and processing is likely to retain as much of the often delicate health promoting elements as possible. Texas Superfood say they use cold press juicing so if you trust them on this they seem to have this base covered as well. Another common criticism of green powders like Texas Superfood or Juice Plus+ is that they don’t contain the fiber of the fruits and vegetables they are derived from. This is true and if you could actually eat the equivalent amount of all the fruit, vegetables and greens in this product, with their fiber, it would undoubtedly be a healthier option. In the real world though there are very few of us eating such a wide variety of high nutrition produce. Some people barely receive any cancer fighting antioxidants in their daily diet and are the most likely to benefit from supplementation like this. Another point often overlooked is that one of the primary reasons that dietary fiber is so healthy is because it pushes along difficult to digest foods like meat through your digestive tract. This prevents the concentrated protein from breaking down in the harmful and potentially cancer-causing compounds in your colon. It also helps guard against constipation, quite a toxic condition for your body to deal with regularly. The best way to get your dietary fiber is to eat more healthy vegetables like broccoli, carrots, cauliflower, sweet potato, healthy pumpkin and others, particularly with a high protein meal. As an added benefit, if you replace fattening high carb sides like rice, pasta or particularly french fries, with mixed veggies you’ll quickly start losing weight due to a much lower simple carbohydrate intake. Making this simple trade and taking an antioxidant-rich supplement like Texas Superfood would dramatically improve the health, daily energy and likely happiness of a high percentage of people eating a standard American diet. If you really can’t get enough fiber in your diet at the moment then consider a good digestive health formula, like this extremely effective and highly rated one on Amazon, to prevent dangerous constipation. Longer-term though, it’s far better to eat more fibrous vegetables and fruit each day. Any supplement company marketing a novel nutritional product like this are liable to get their fair share of complaints. Looking through these online on Amazon, health and fitness forums and answer sites, I didn’t feel like Texas Superfood complaints were excessive compared to some others I’ve seen. One reasonably common complaint though was that Texas Superfood is a ‘ripoff’ or not worth the money due to the individual not receiving any specific benefits that they recognized. Any product being a ripoff is of course a subjective opinion, regardless of price. This raw food supplement is undoubtedly quite expensive, but then again, it would be costly to produce the wide variety of superfood powders used in this product, especially from cold pressed juice processing. Ultimately, the question of whether Texas Superfood is worth the investment comes down to how taking it affects you personally – a difficult thing to quantify in an objective review like this. The company does state on their website that they have a 30 day ‘hassle free’ returns policy. So if there’s a problem with an order you should be able to get a refund via the site’s email address or calling the customer service number listed as 1.888.36.36.888. One concern with the parent company of Texas Superfood is that they did receive a warning letter from the FDA addressed to Dennis W. Black, President on May 4, 2015. I’ve read through this letter, which you can find online, and you can too if you’ve got a lot of time and patience. Basically, it seems the FDA was accusing Texas Superfood’s marketing of making claims that equate their supplements with the effectiveness of pharmaceutical drugs, something the Federal Food and Drug Agency doesn’t like at all. There are other points brought up in the FDA letter, such as labeling issues, which I agree with, “component specifications” and providing “complete manufacturing history and control of your packaged and labeled dietary supplements through distribution”. All of which, reading through, makes me quite certain I’d much rather be doing these detailed reviews of the best superfood powders rather than starting a company to manufacture them. I’ll leave it up to the individual reader whether this warning by the FDA is enough of a reason to avoid Texas Superfood products. If you are concerned, read through the letter yourself which you can find with a simple search online. I will say though, that many health authorities seem to consider the FDA much more accommodating to big pharmaceutical drugs like statins and chemical additives like aspartame, both of which have far more complaints and potential side effects than powdered fruit and vegetable juice. Also, as this warning was sent in 2015 it’s likely the issues addressed would’ve been rectified by now or the company would be unlikely to still be operating. I can’t find any of the statements the FDA complained about still showing on the 2018 version of the Texas Superfood company website. A similar product and competitor to the one reviewed here is the Juice Plus+ range of products, particularly their Fruit and Vegetable Blend capsules. Like Texas Superfood, Juice Plus+ is made from juice powders, but I can’t find the same emphasis on cold processing and vine-ripened produce with this company. They say their supplements are made from the “juice powder concentrates and oils from more than 40 different fruits, vegetables and grains”. Actually, the Fruit and Vegetable Blend capsules have less ingredients listed than that and, while there are some good ones there, I don’t like the inclusion of isolated vitamins and particularly calcium carbonate and sunflower oil based tocopherol. The pricing for Juice Plus+ vs Texas Superfood is also quite confusing to work out and potentially misleading to some customers in my opinion. On the Fruit and Vegetable Blend capsules product page of their website they list $44.50 a month, but looking closer this is for a much lower daily dose than with Texas Superfood. Additionally, it involves signing up for an ongoing 4 month supply, shipped and charged automatically, which seems to be the only buying option available. While I don’t recommend them, if you would like to purchase Juice Plus+ to give it a try, I’d strongly suggest using this listing on Amazon with customer reviews to get it in a one-off delivery, rather than being locked into an ongoing subscription. On balance though, I think this new formula powdered Texas Superfood is still a better quality and better value product vs Juice Plus+ Fruit and Vegetable Blend. This supplement has a great ingredient list of high antioxidant fruits, nutrient-rich vegetables, vitamin and mineral-laden greens and other potent superfoods. The company says they use raw, vine-ripened and naturally grown produce, the majority of which is organic. The cold processing methods of juice extraction and gentle drying used to produce Texas Superfood powder should ensure the majority of the nutritional elements are preserved and usable when you take it. The inclusion of enzymes to improve digestion and lactobacillus probiotic cultures for gut health, though it would be helpful to have both of these with clearer labeling of amounts. Packaging and website state that this product is 100% whole food, no GMO, no sugar added, no soy, gluten-free and vegan. Also, a 30 day money back guarantee, made in USA and GMP good manufacturing processes stamp are all welcome. Poor labeling and a lack of specific information about ingredients on the website, particularly not showing the ingredients list on product pages or Amazon store. In a related point, the ingredients are listed on the labels in alphabetical order. While most superfood supplements have a ‘proprietary blend’ and don’t share exacting amounts, the usual convention is to list ingredients by volume so the customer has a general idea of what’s most common in the product. This is a relatively expensive superfood powder compared to competitors. While I think the ingredients list is very good and it should be beneficial for most people taken regularly, I do think the value would be better at a lower price point. Discounts for bulk purchases and free shipping for orders over $100 on the business site could help mitigate the cost issue. Everything written in this review of Texas Superfood is my personal perspective and nothing should be taken as medical advice or personal criticism of any individual. I’m happy to read and respond to different feedback in the comments below. After many hours of researching Texas Superfoods it’s my opinion, based on over a decade of writing about superfoods, that this is a quality raw fruit and vegetable supplement with one of the better ingredients list for these kind of products. It’s not cheap, I’d like to see much more nutritional information for the customer on both the labeling and their website and there are some questions about the company’s past marketing claims that may concern some people. Overall though, if you’re looking for a nutrient-rich superfood supplement with a wide range of ingredients and careful processing, and can afford the premium price, Texas Superfood is a good choice. You can find it here on Amazon in the convenient capsules and also available in powder for your smoothies and shakes. Great ingredient list of raw, vine-ripened and naturally grown produce. Cold processing methods of juice extraction and gentle powder drying. 100% whole food, no GMO, no sugar added, no soy, gluten-free and vegan. Poor labeling and a lack of specific information about ingredients. Relatively expensive superfood powder compared to competitors.